I’ve officially been living in my house for a year this week. I’ve still not unpacked everything. Time flies when you’re out of your home 80% of the time doesn’t it! I’m finally getting round to making my living room a little more homely and even bought some curtains recently too. There was no rush for curtains as I do have blinds up, but I just wanted it to feel a little ‘warmer’ with Autumn coming up! (Where where did summer go?). I picked up this trio of Cacti and these little domes from IKEA recently and it’s giving me more pleasure than I thought some little plant friends would. I’m going to change the little pots over soon as I think the purple ones are a little too jazzy for displaying this way, but for now it’s looking lovely. 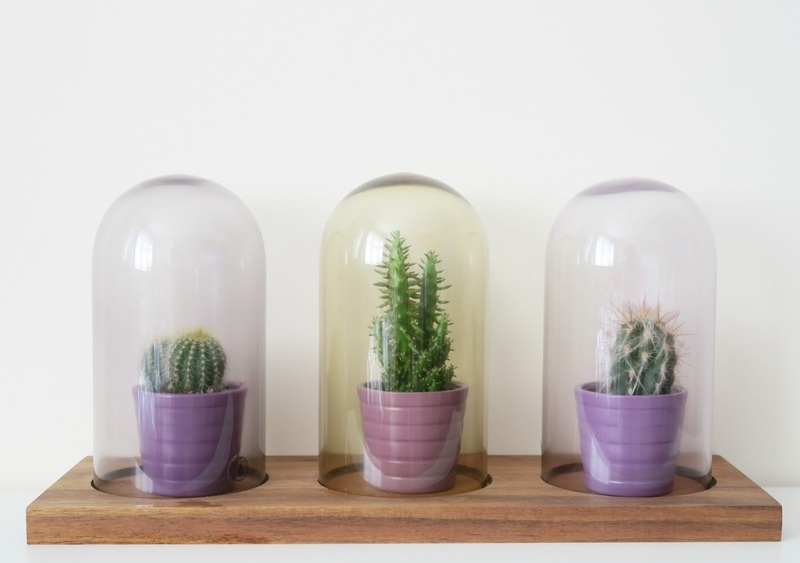 The Cacti was around £5 and the Glass Domes on the wooden stand was £15.